Ditte Knus Tønnesen (b. 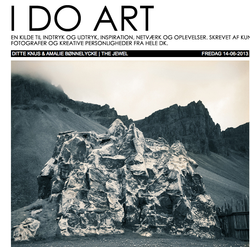 1982) is a Danish artist working with photography, video, objects and installations. Working in a field between images and spatial constructions she tests and investigates how different interpretations and world views becomes the accepted understanding of things – and how our understanding of ‘reality’ depends on our context, culture, religion and political standpoints. With a great understanding of the qualities and histories of different materials she mixes materials with a strong aesthetic outcome. 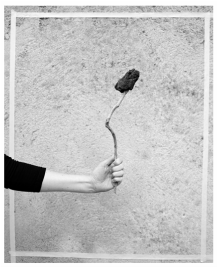 She works with photography in a much conceptual way – and tests, questions and expands the medium. 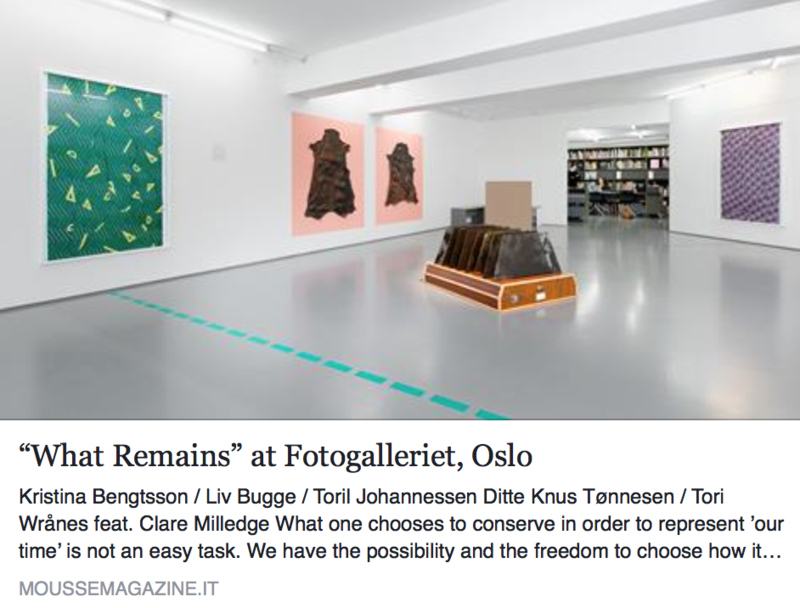 Among Knus Tønnesen's recent exhibitions are: What Remains, Fotogalleriet, Oslo (2017), Nature Encounters, J.F. 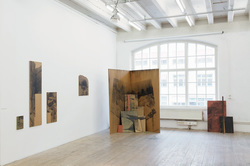 Willumsens Museum, Frederikssund (2015/16), Dissolving Boundaries, solo show, Gether Contemporary, Copenhagen (2015), JCE Biennale (2015/17), If it's fixed, break it, Galleri Christoffer Egelund, CPH (2015), Everything Is Connected, Neter Proyectos, Mexico City (2014), Inner and Outer Landscapes, Museumsbygningen, Fotografisk Center, Copenhagen (2014), Warm Moving Bodies, Kunstvlaai, Amstel Park, Amsterdam (2014), The Naked, Marrakech Biënnale, Morocco (2014), Twin City, Seydisfjordur/Iceland & Melbu/Norway (2014), Young Danish Photography '13, Fotografisk Center, CPH (2013), knock rock, solo show, Holodeck, Oslo (2013). Because of individual understanding there is never really one reality. Therefore reality should always be understood as layers of understandings in different contexts. 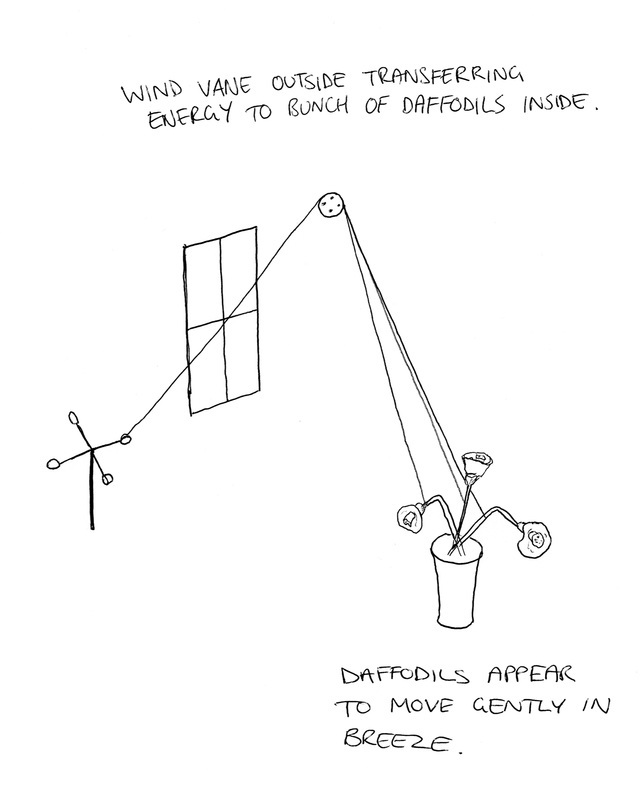 As the work itself is physical and present, it is considered reality. It is therefore not illustrative of something that once existed (memories are questionable) neither does it symbolise a story. Because when something is presented as a story it is taken out of reality, and is therefore not happening. Instead it represents an opportunity or possibility for change in an individual as well as collective reality. My work originates from those moments of coincidence where realities join in a collage to speak of a second or parallel understanding. Often this creates a cultivated naïveté, since working with the extraordinary in the ordinary happens to bring out this sly abnormality. Certain rawness can appear in communication. Especially when a link to an uncensored fantasy appears, as for example when a child speed-talks, in a direct but not always understandable language. An awareness of how one communicates and experiences reality awakes my interest in curious ways. 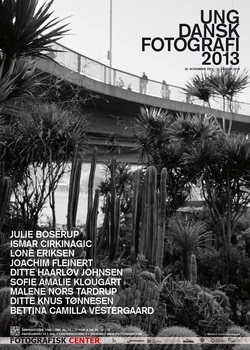 Group Exhibition: KNOWING ME KNOWING YOU curated by Void & Co., Künstlerhaus Palais Thurn und Taxis, Bregenz, Austria. 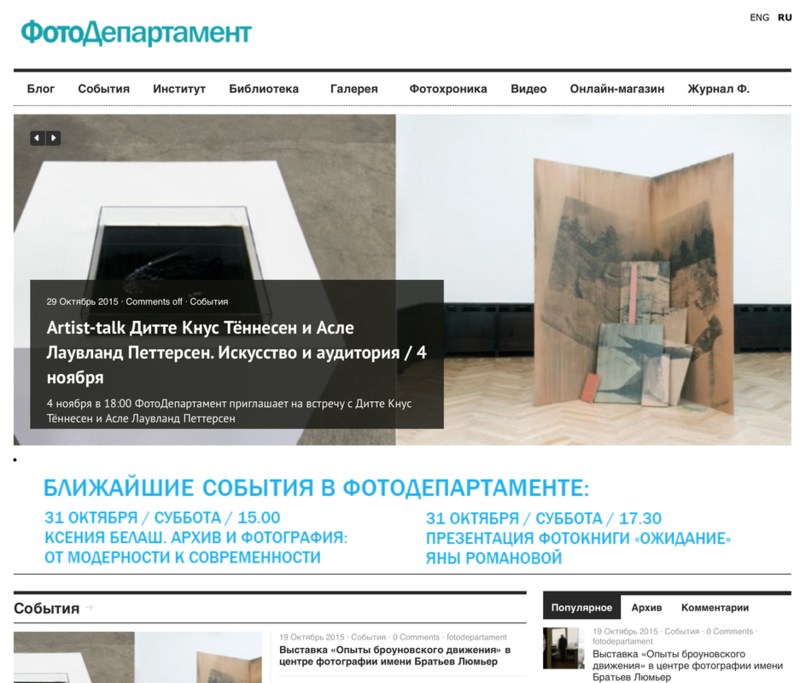 The residency was made possible with the kind support from Lithuanian Council for Culture, The Danish Arts Foundation and administrated by Curatron. 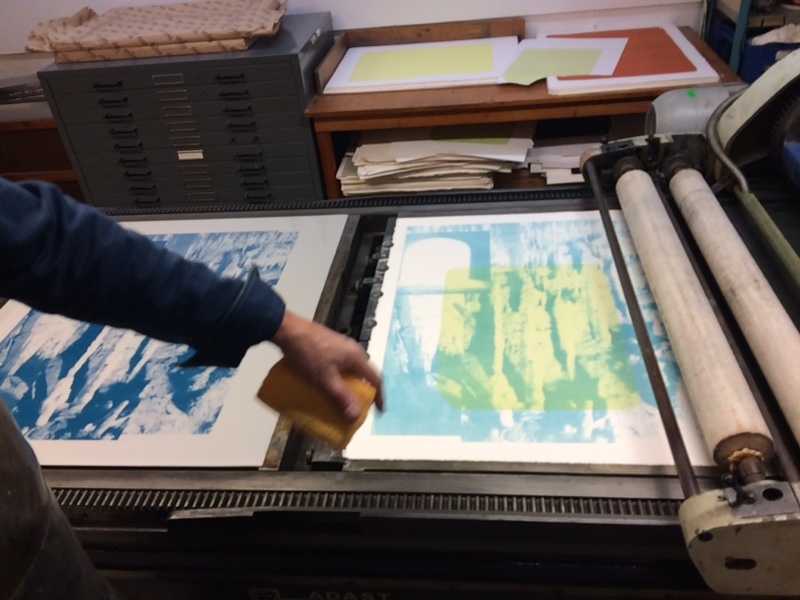 I will launch a series of three new lithographic prints in a limited edition. Contact us for more information on how to purchase them. 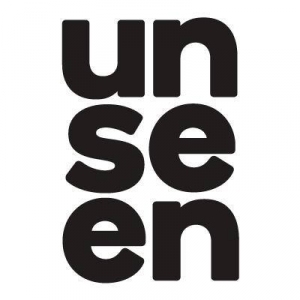 Participation at Unseen, an annual international photography fair and festival based in Amsterdam. Opening 9th of April at 2pm. 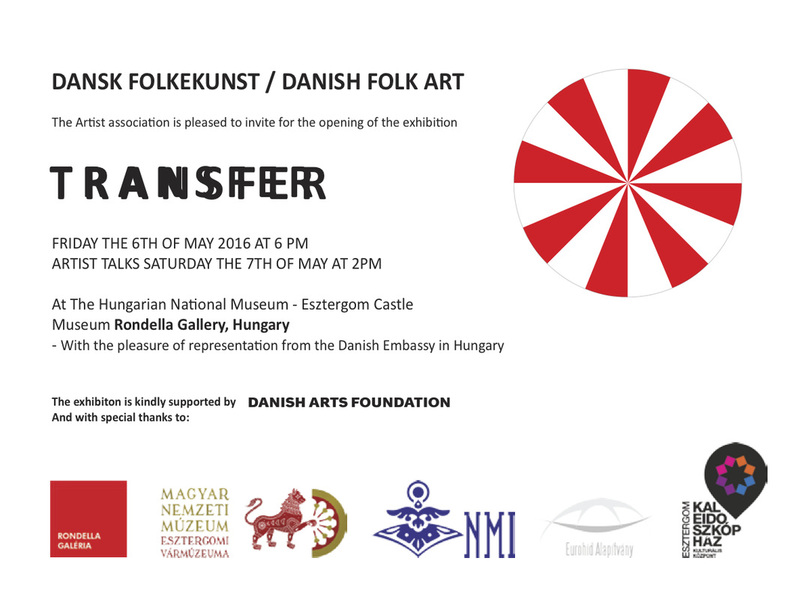 ​Kindly supported by Danish Arts Foundation. “This is it folks, perhaps the most helpful episode we have ever concocted. And it’s all thanks to Ditte. 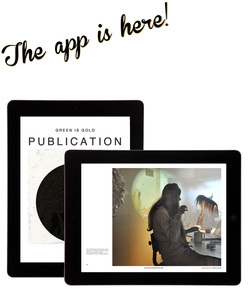 For those who don’t know, she is the co-founder and co-runner of Green is Gold, an exhibition and curatorial platform here in Copenhagen and a talented artist in her own right. We cover so much ground in our talk, and it’s chock full of good lessons and tips for you up and comers out there. For everyone really. We got through the hidden importance of having a studio, about working analogically, about starting and running a non-profit exhibition space, and she ever shares her secret weapon for getting curators to care about your work. Oh, and she fires some shots at her hometown. It’s everything we ever wanted, and so much more." 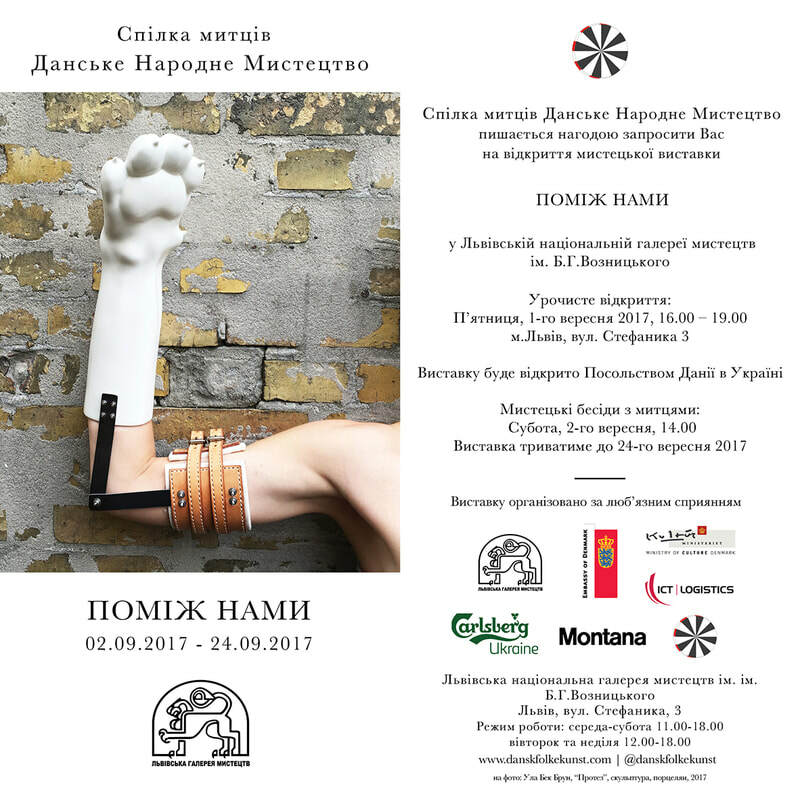 In the cooperation program between The National Centre for Contemporary Arts (Russia) and Nordland Cultural Centre (Norway). 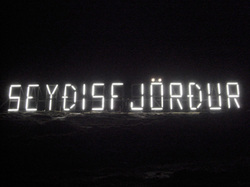 Supported by Danish Arts Foundation. 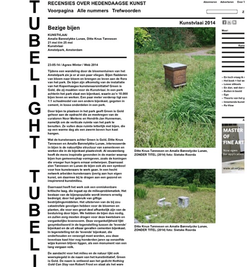 ​Ditte Knus Tønnesen, Ebbe Stub Wittrup, Eske Kath, Eva Koch, Jacob Kirkegaard, John Kørner, Nikolaj Howalt, Olafur Eliasson, Tal R. and J.F. 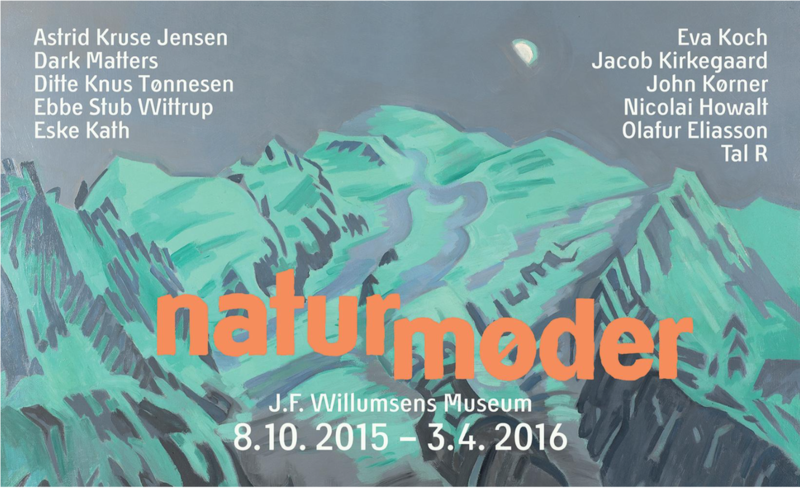 Willumsen. Astrid Myntekær, Valérie Collart, Dan Stockholm, Amalie Jakobsen, Christine Overvad Hansen, Johanne Skovbo Lasgaard, Nanna Riis Andersen. 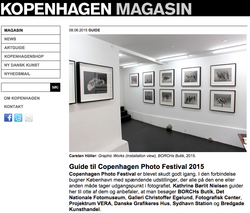 Catalogue for Copenhagen Photo Festival 2015, digital version. 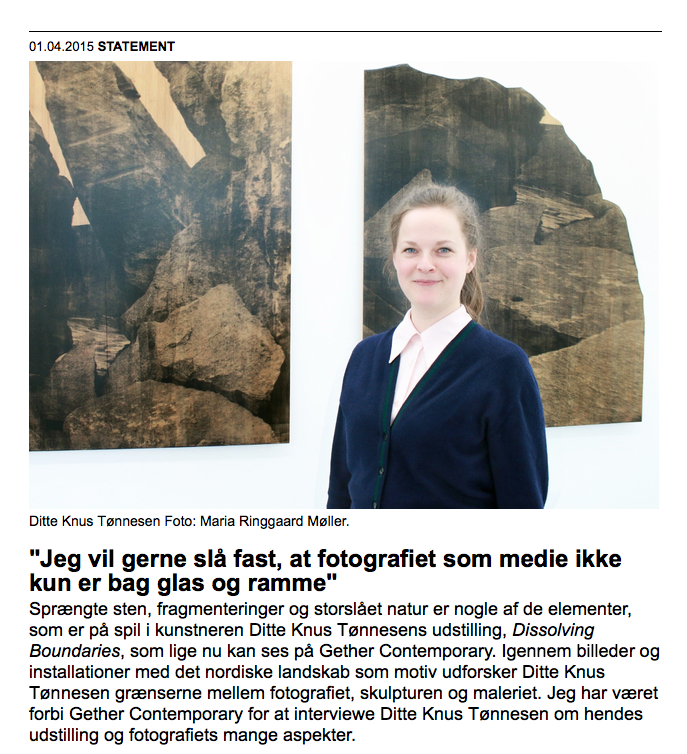 My contribution was supported by Danish Art Workshops and Danish Art Council. Thanks. 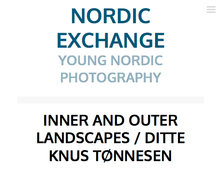 The exhibition was kindly supported by Danish Art Workshops, Danish Art Council for International Art, Culture Point North and Forbundet Frie Fotografer. 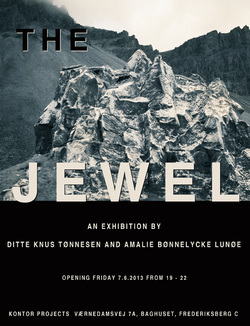 Review & picture reportage about the exhibition The Jewel at Kontor Project's, Copenhagen. 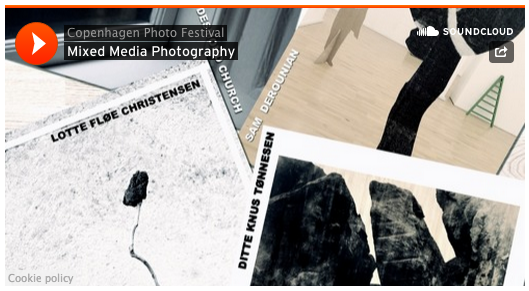 Jens Christoffersen has picked a selection of pictures doing Copenhagen Photo Festival. 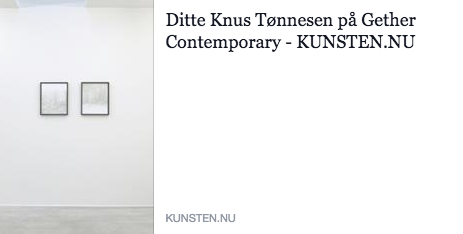 As part of the Copenhagen Photo Festival 2013 Kontor Project’s is pleased to present a collaborative exhibition by Ditte Knus and Amalie Bønnelycke Lunøe. 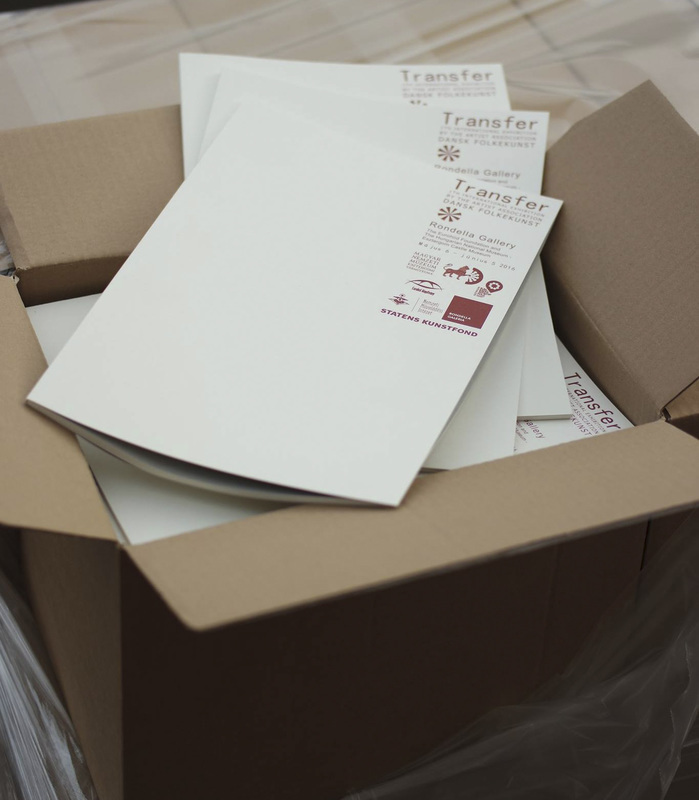 The show will feature new wall-based, sculptural and installation based work. 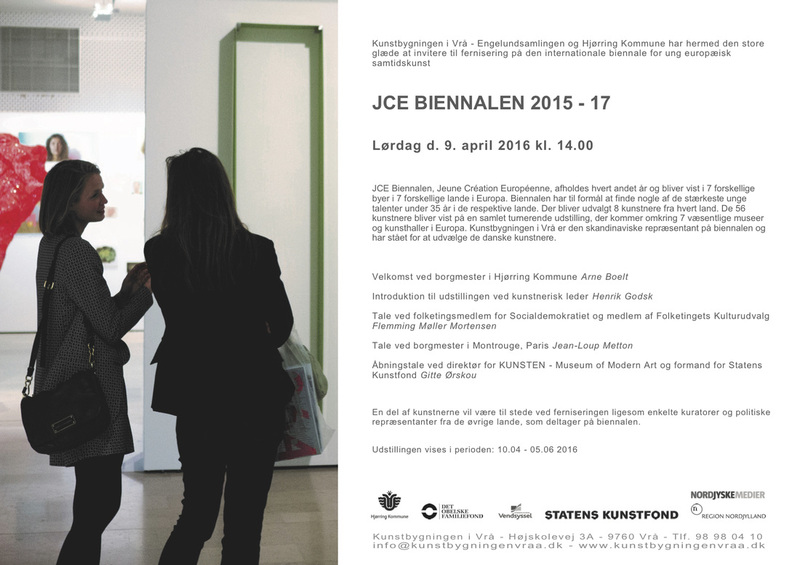 This will be the first time that the two artists have exhibited together in Denmark. Ditte Knus Tønnesen (b. 1982 in Århus, Denmark) is an artist working with photography, drawings, objects and installations. 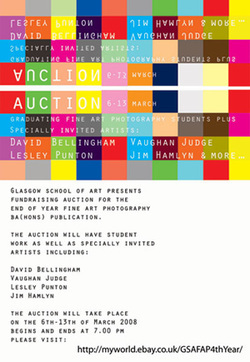 After having graduated from Fine Art Photography at The Glasgow School of Art, Scotland in 2008, she founded the Green Is Gold Studio in 2011. 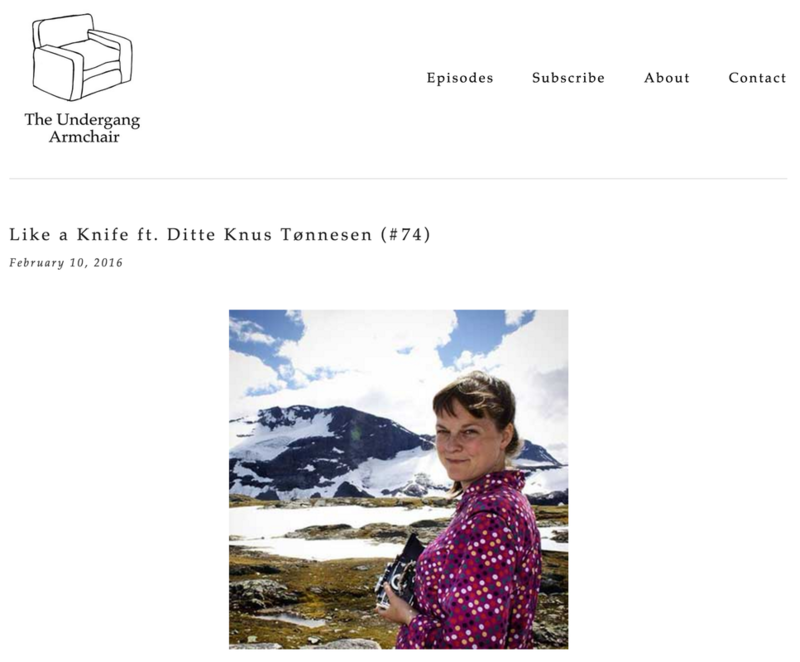 Ditte told us more about her art and her work. Read more here..
For Oct - Nov - Dec. 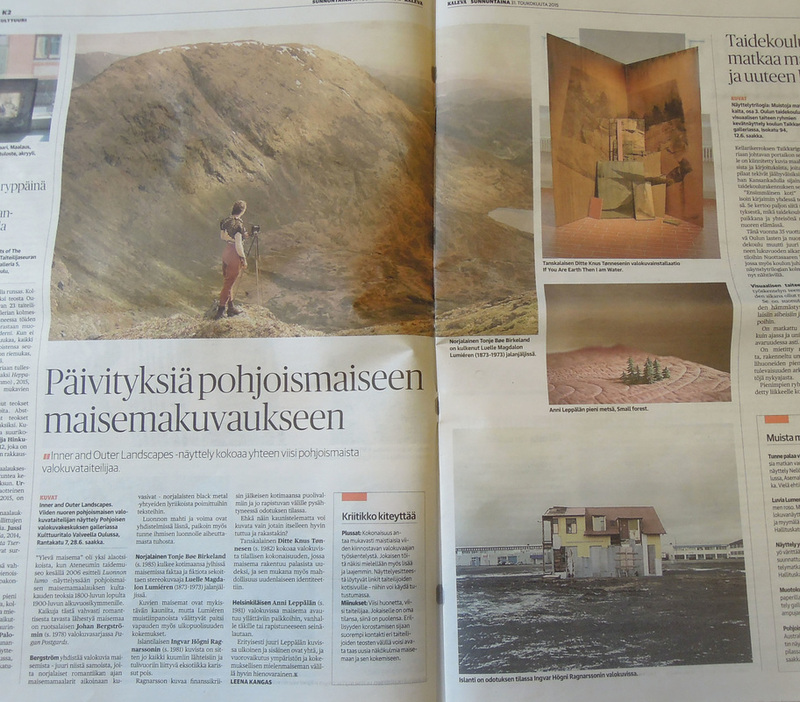 I'm in Estonia working with the project Forgotten Art. 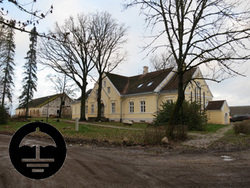 MOKS – Center for Art and Social Practice is a cultural center in Estonia situated in the rural community of Mooste, located 40km southeast of Tartu and 20km west of the Russian border. 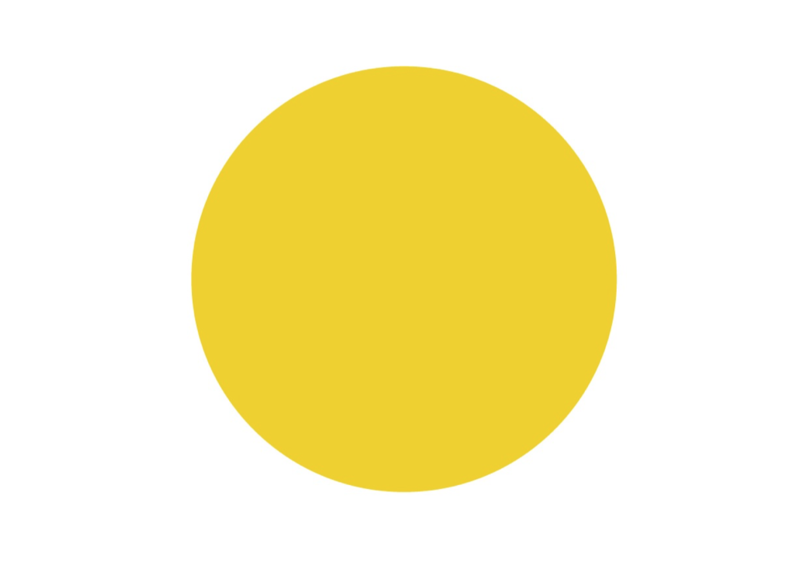 MoKS was founded as NGO Mooste KülalisStuudio in January 2001 to develop local and international cooperation in the fields of arts and environmental research in the rural context of post-soviet Estonia. Apart from managing the international artists in residence program, organizations activities range from arranging of different events such as international contemporary arts symposiums to the beginners and practicing artists’ workshops for digital media. 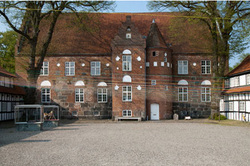 The MOKS residency studio is located in the renovated space of the Mooste manor governor house. With its broad scope and focused environment, MOKS is the first and still the only program of its kind in Estonia. 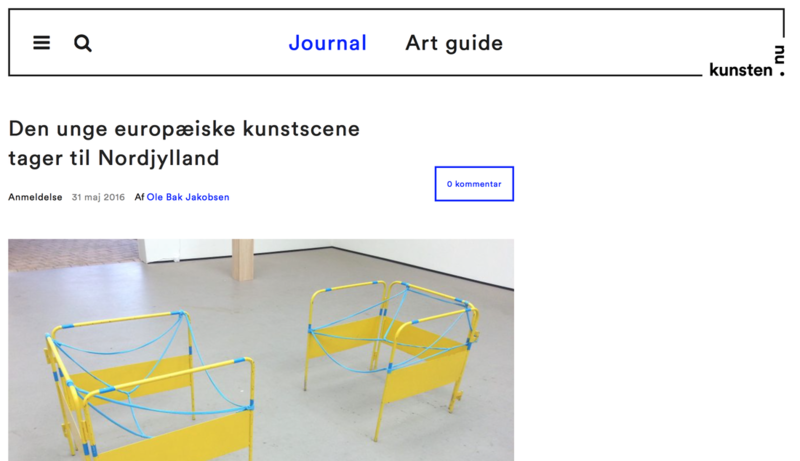 Since its inception, MOKS has belonged to the Baltic Sea Residency Network, which links the artist-in-residence programs of the countries bordering the Baltic Sea. 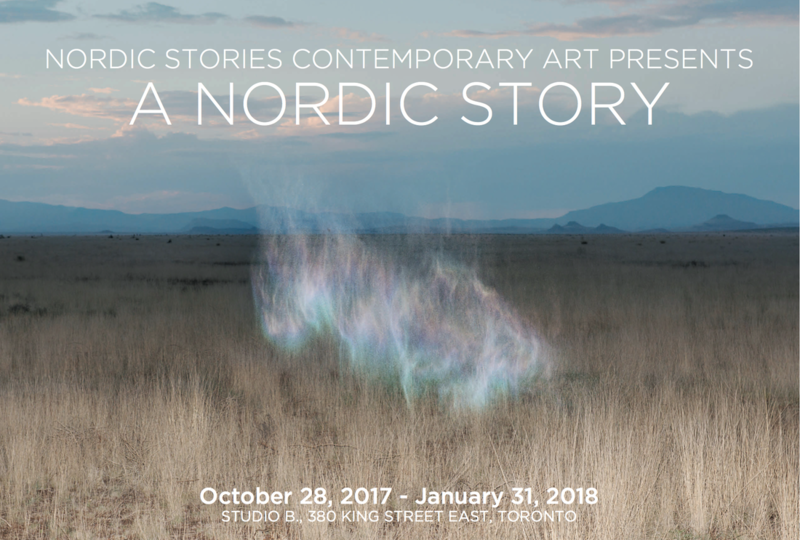 The residency is kindly supported by Nordic Culture Point – Mobility and Residency Program, The Danish Art Council, Estonian Cultural Endowment and Estonian Ministry of Culture. The 19. - 22. Sep. from 13.00 - 16.00 / Wed. 26. Sep. from 13.00 - until late. The 27. - 29. Sep. from 13.00 - 16.00 / Sat. 29. Sep. 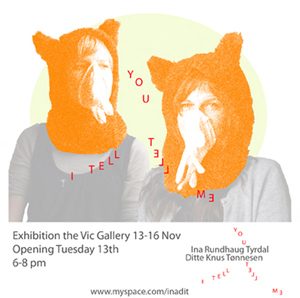 Artist Talk: 16.00 - 16.30 (free cake & coffee). 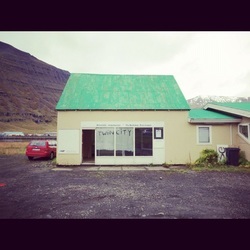 In september 2012, I'm artist in Residence at Skaftfell - Center for Visual Art, East Iceland. 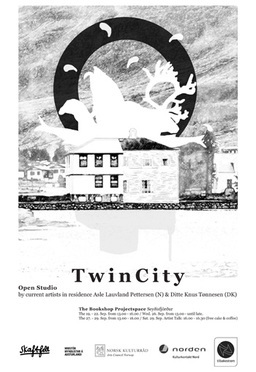 Twin City is going to be a photo, video and live / interactive video installation in Melbu, Norway and Seyðisfjörður, Iceland. 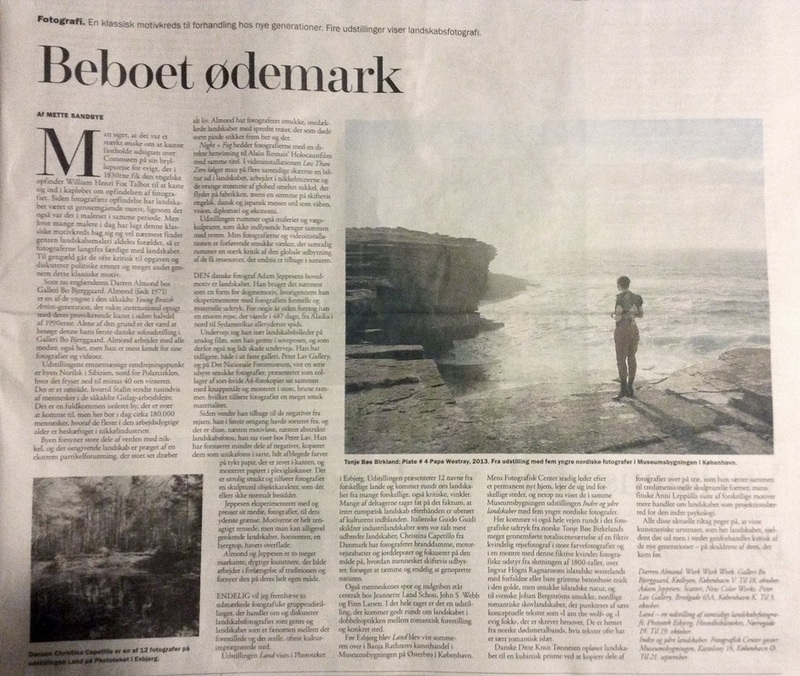 Perhaps this project is the first link in a reunion of two Twins separated by 110 years and 1500km Atlantic Ocean. 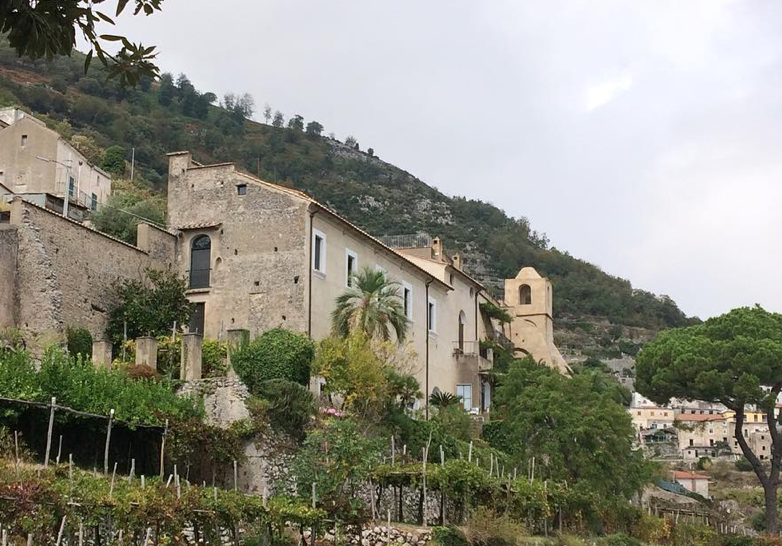 Through a pseudo scientific history research project, we will prove a historic tie between the two cities, which do not necessarily have a historic commitment to each other. The cities Melbu and Seydisfjordur has many striking similarities what comes to size, look, historical origins, environment, development, geography and social structural situation. This and surely many more are the apparently secure evidence we want to document in our Pseudo Scientific field study in Melbu and Seyðisfjörður. We want to find similarities in the two communities, and with the similarities bring people in these communities together in a search for their common history and create a common understanding of each other. 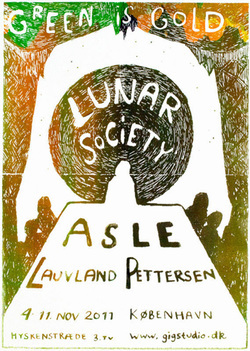 Asle Lauvland Pettersen (b.1978) is a Norwegian Artist, Director and Theater Scenographer. Graduated from National Academy of Arts, Oslo and Royal Danish Theater Academy, Copenhagen. Ditte Knus (b. 1982, DK) graduated with a first class BA (hons) Fine Art Photography from The Glasgow School of Art, Scotland. She has since exhibited in Ireland, The United Kingdom, Mexico, Germany, Norway and Denmark. 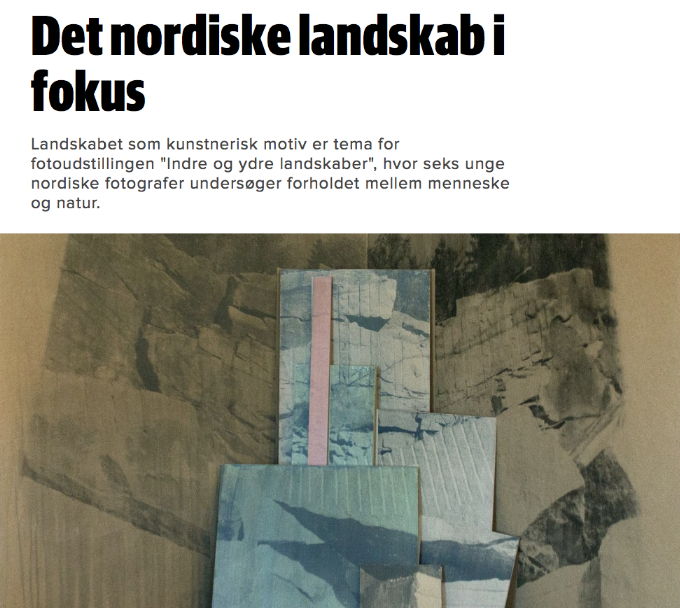 De skal flytte fra deres lejlighed på mandag, men laver lige et galleri i ugen op til som de propper med kunst af ret høj klasse fra kunstnere de har mødt i ind og udland. Her er et værk af tyske Dirk Wackerfuss der kunne blive til hipsternes udgave af PIK-fænomenet. 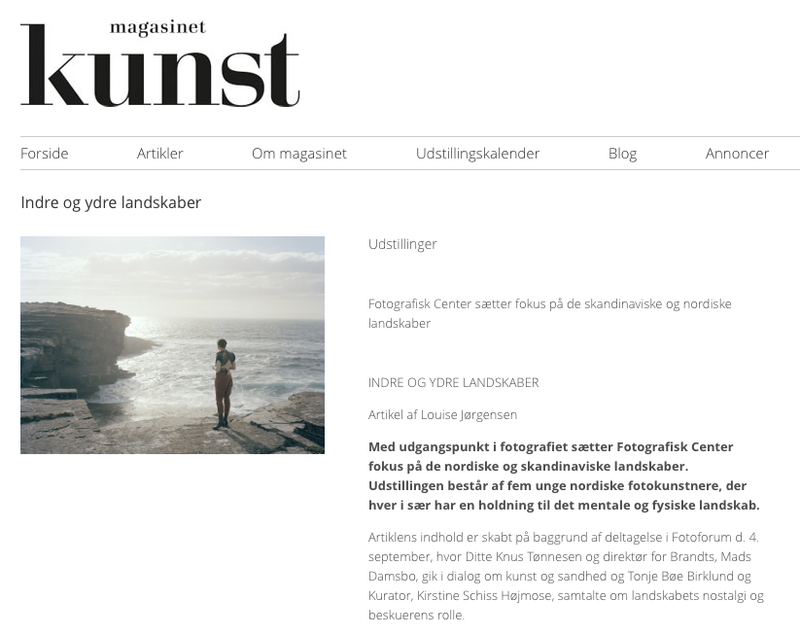 Wackerfuss fotograferer sit ansigt spejlet i forskellige situationer i butiksvinduer og lignende. Det er sjovt. Det er et kamera på mavsen, en lommelygte i bøtten og så ellers afsted. Hans hoved kan ses på en zebra, Jesus, en statue osv. Salomeh Grace har lavet en energisk film om at stå i køkkenet. Danilo Stankovic har lagt et hvepsebo på en hylde under en mystisk cirkel og en russisk præst. 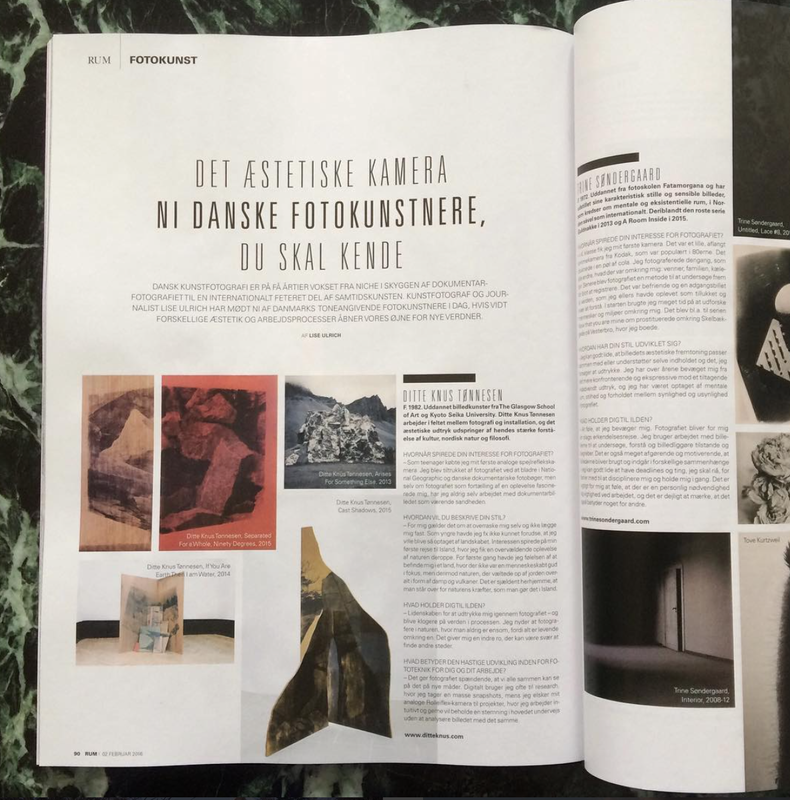 Telefon til Chefen viser et fascinerende arkiv og Johan Rosenmunthe springer ud som spændende kunstner med fem sjældent gode billeder af sten. Vi krydser fingre for at Kristina Bengtsson og Kevin Malcolm også snart skal flytte fra deres næste lejlighed. 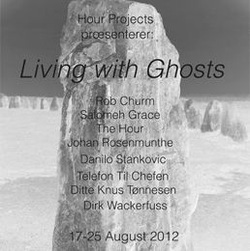 Hour Projects presents: Living with Ghosts, Istedgade 92, 1 th, hver dag fra 12 – 17 til den 25. august. Appropriation has long been a common strategy in the production of art but what it means today is laid upon a shifting cultural landscape. If we believe that historical time is fractured and in motion then many, if not all things are present in more than one place and at more than one time. However, when invoked in a particular place and time, we can no longer be sure of how the appropriated thing will behave. As we well know, once a spirit is called forth it rarely does what we want or expect it to. What do these phenomena say to us and to each other when summoned to an empty apartment with ghosts of its own? 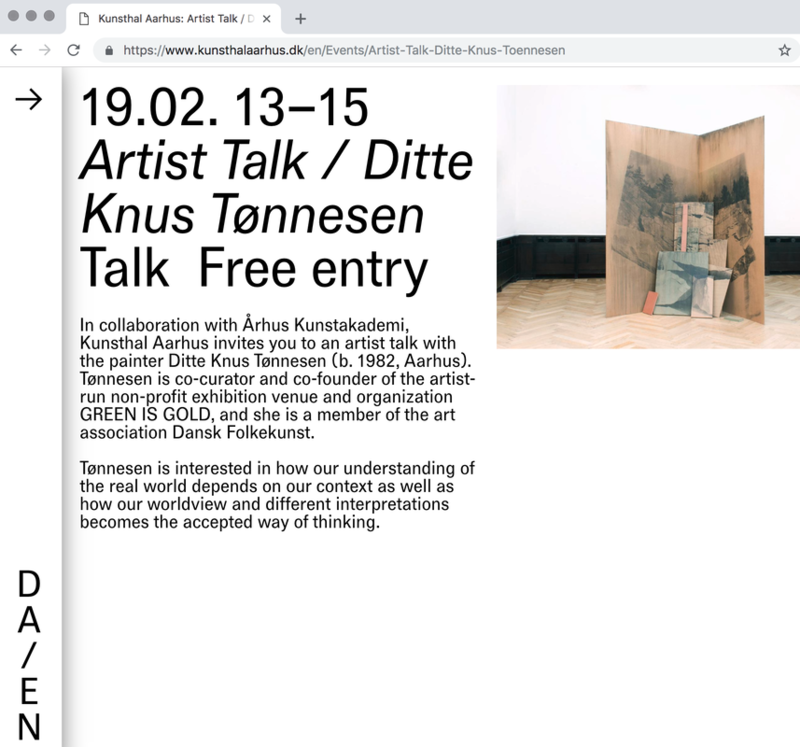 Hour Projects is a new curatorial collaboration between artists Kristina Bengtsson (SE) and Kevin Malcolm (UK) based in Copenhagen. Quote from "MAPPING THE FUTURES: Local cultures and global change". Economy sustaining the community or community sustaining the economy? 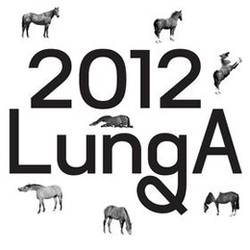 For the LungA Festival 2012 Green Is Gold, and it’s four affiliated artists, wish to each present individual works that examine and reference social and economical issues in small communities. 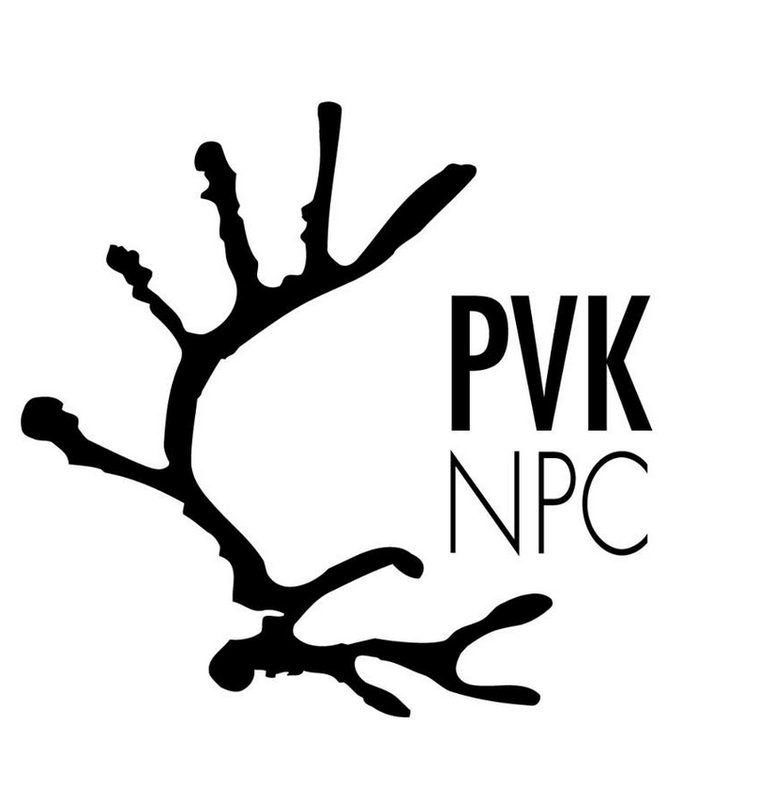 These issues include the outside perception of a community existing in apparent isolation, its acceptance of geographical constraints and the natural elements, varying methods of local and global communication in a small independent society and the perspicacity of isolated peoples regarding distance and time and the effects such conditions have on the society. 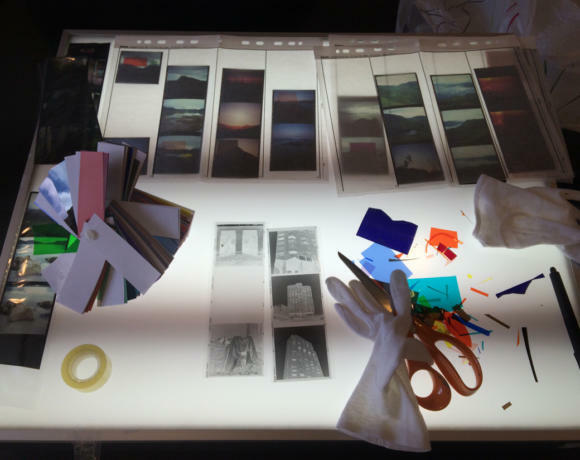 The works will consist of photography, video and sculptural installations and will incorporate locally sourced and found materials, which reference the highlighted issues and distinctly characterise each artist’s relevant practice. The solo exhibition ‘Ekskursion’ by Knus Tønnesen sees her createa body of new work based on a new interpretation of traditional Danish attractions such as specific places, objects or identities. Ditte Knus Tønnesen challenges the national characteristics and asks which of these the Danes can identify with in 2012. An exhibition of two individual art projects of the Norwegian Artist and Scenographer Asle Lauvland Pettersen (educated from the National Art Academy, Oslo and the National Theatre School, Copenhagen) and the Danish Artist and Photography Tutor at Krabbesholm Højskole Ditte Knus Tønnesen (educated from The Glasgow School of Art). The exhibition consists of a pseudo scientific deconstruction of known and unknown scientific principles, staged through installations consisting of readymades and low-tech analog interactivity. 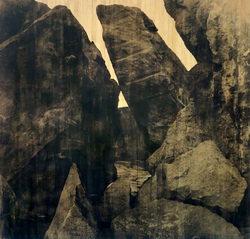 As well as photographic work based on the vast land between culture versus nature. 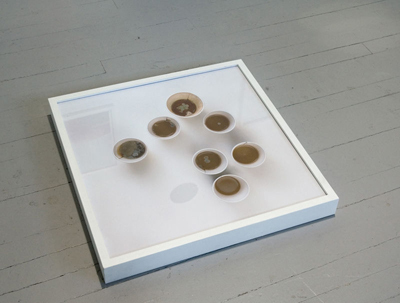 The work is questing our contemporary understanding of the cultural landscape, while being a take on it at the same time. 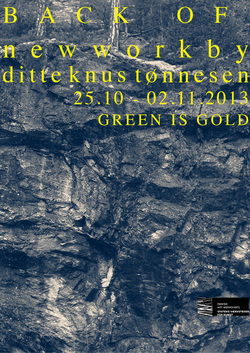 GREEN IS GOLD is a newly added exhibition space to the Danish art scene, dedicated to encourage and show contemporary art from up and coming artist as well as established. 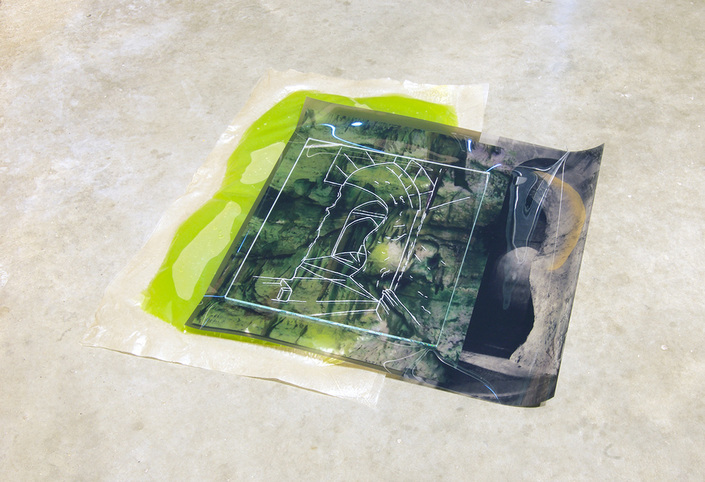 GREEN IS GOLD is an artist run, non-profit exhibition space, funded in autumn 2011 and run by Ditte Knus and Amalie Bønnelycke Lunøe, both visual artists educated from The Glasgow School of Art. 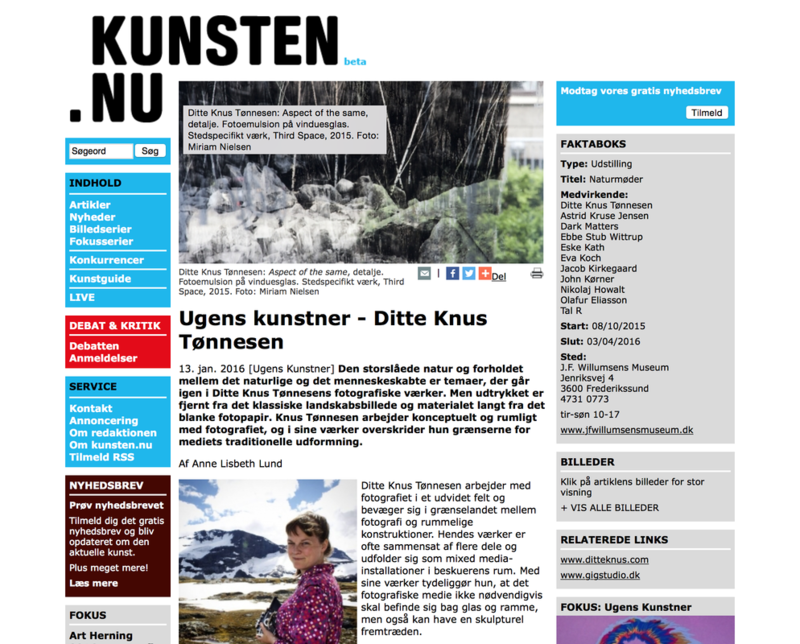 The danish web-site Kunsten.nu about the opening of our project room GREEN IS GOLD. "Possible Realities 4 meets TECHNOLOGIE, Joie De Vivre! meets Binaural BIG BANG "
Neptun, Norsk Fiskeriindustrimuseum. Sommer-Melbu 2011. Daily open from 10.00 to 17.00, until the 9th. 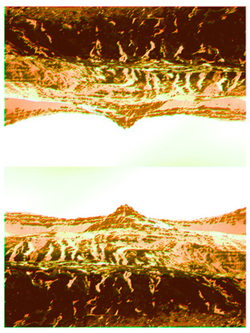 of July doing Sommer-Melbu Festival 2011. 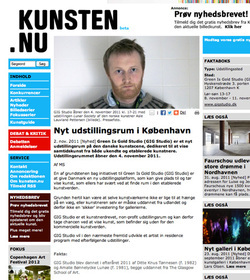 I am now teaching in fine art photography at Krabbesholm Højskole, an art school based in the northwest of Jutland.
" 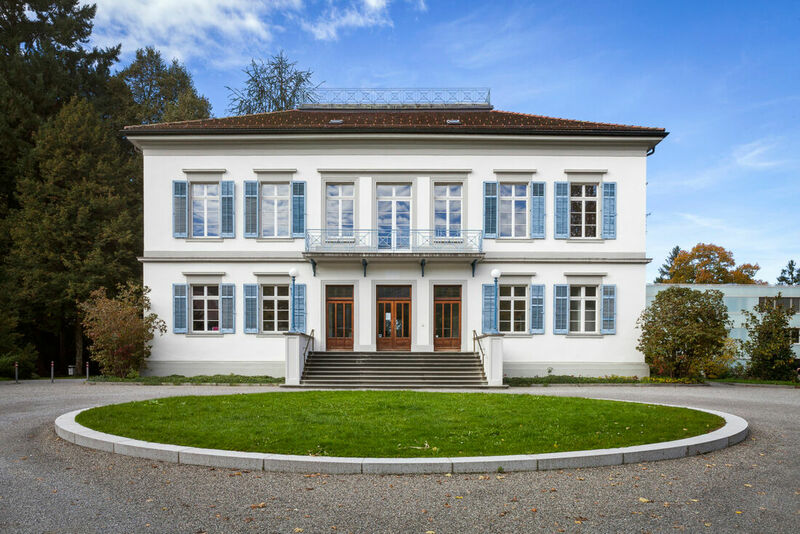 ...At Krabbesholm we believe that working with art, architecture and design is the best answer to the energetic and ever-intensifying world we live in. We are constantly striving to push the boundaries of convention between art, architecture and design, providing students with the opportunity to work in an environment with resources to make powerful statements about our world, both practically and theoretically. The teaching environment attempts to develop students' personal perspective and individual identity while also providing a place to explore relationships between people in general..."
Visit www.krabbesholm.dk to see whats on here! Like a bag of glitter in the face of a stumbling drunk trying to find his keys, the beautiful and merciless Berlin autumn has once again hit us hard. 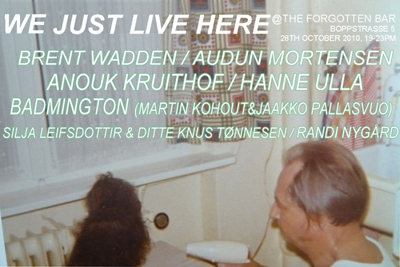 Now, we´re regaining the warmth by making way for a boiling and unforgettable Forgotten Bar-show. Suggesting an open structure of story, where playful and dynamical concatenation of images, fortified by must-see artists, makes up a surprisingly multi?interpretable whole, spanning all ends of the spectrum. It is everything you need to come good and hard! 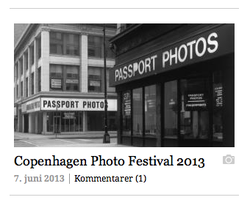 Presented by Hanne Ulla and God Willing! Ditte Knus & Silja Leifsdottir met five years ago while studying at The Glasgow School of Art. 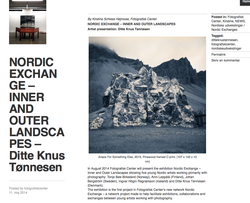 Earlier collaborations from the artist duo counts exhibition at One Night Gallery in Oslo and Hóll- The Birgir Andresson Residency, Seydisfjordur, East Iceland. 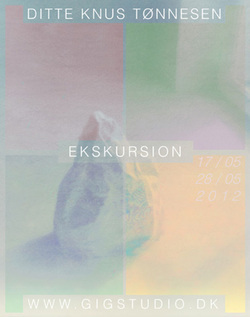 Most of the inspiration for the exhibition at Roter Pavillon is taken from the Icelandic landscape. 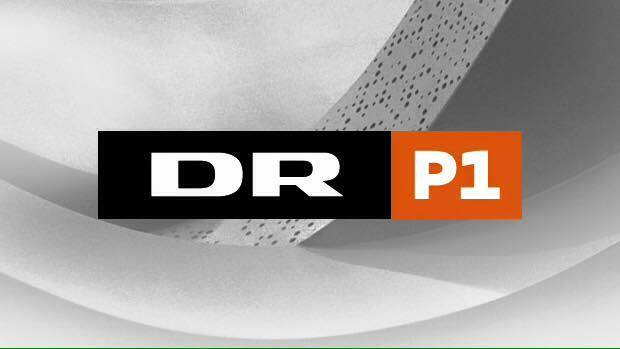 Velkommen til Morgenrøde nummer 1. Morgenrøde, selve ordet, det mytologiske, det konkrete, det farverige og fantasifulde ord har i dette nummer af tidsskiftet været udgangspunkt, startskud og endemål for redaktionen og bidragyderne. 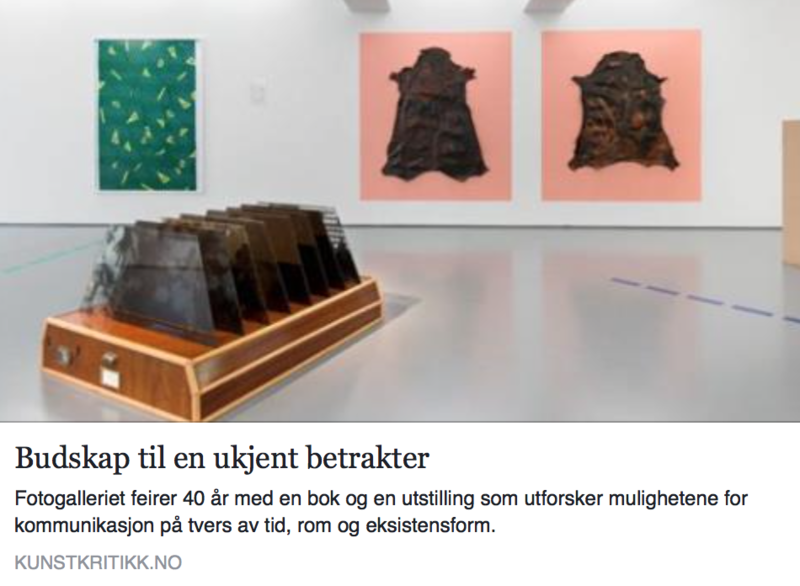 Vi besluttede os for at efterprøve rummeligheden af begrebet, og bad en række digtere, forfattere og billedkunstnere om at deltage, således at vi kunne bore os gennem, finde veje ud og rundt i den verden det tidlige morgenskær kan frembringe bag frontallappens forgreninger. 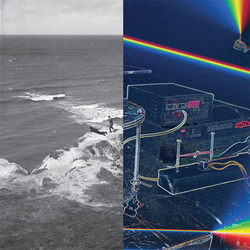 Vi er i redaktionen glade og stolte af at kunne præsentere Morgenrøde nummer 1, med så alsidige og forskellige værker og bidrag, og vi håber at det endelige resultat vil blive set, nydt, læst og diskutteret. Invited by Skaftfell to work on the collaborated project Possible Realities II with Silja Leifsdottir. Ditte Knus & Silja Leifsdottir first met in Glasgow in 2005 when they studied at The Glasgow School of Art. Sadly they went separate ways after graduation, but as a promise to keep in touch they bought a piece of Scotland and the title Lady. 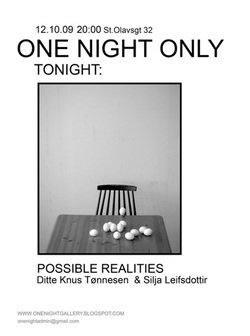 Finally the time has come to use their title, when One Night Only presents their first of a series of collaborative installations, to be continued in Germany and Iceland. 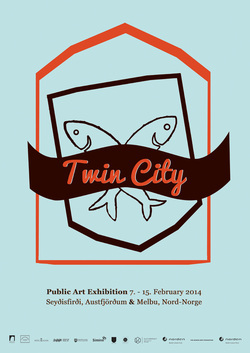 The exhibition will consist of drawing, video, photography and sculpture. 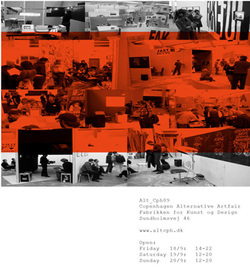 The artist run Gallery SPARK, will be hosting a Photo-marathon at the alternative art-fair: Alt_Cph09 in Copenhagen, where I will be ready to "run" with them on Saturday. On December the 1. 1999, in the twenty third session of the Committee of the Organization of the United Nations for Educations, Science and Culture (UNESCO) its members unanimously decided to include the historic-fortified city Campeche in the list of Cultural Patrimony of Humanity due to its historic, commercial, military and religious context, as well as for the high degree of conservation, integrity and homogeneity of its architecture. 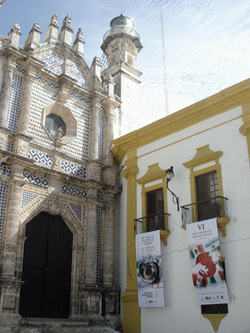 A decade away from such relevant event, the Government of the State of Campeche is pleased to sponsor the VI Euro American Exhibition of Visual Art, with the intention to bring about an encounter where visual artists from America and Europe make the most out of synergy as well as of their outstanding artistic proposals. And, what could be a better setting than the state capital! Founded in 1540, it was a key piece in the conquest of the Yucatan peninsula and, during the XVI and XVII centuries it was besieged by the assault of pirates who made necessary the construction of a defense system composed of walls, bastions and other military arts of which a great part are still preserved splendidly for the everyday admiration of locals and visitors. Campeche is the ideal scenery for the conjunction of visual artists because of its light and colorfulness. Its beautiful sunset are world famous for the array of colors and set of lights and shadows they display. Exerting our proverbial hospitality, we cordially receive almost one hundred participants to create bonds of friendship and forward artistic exchange among countries from America and Europe, in benefit of the population of Campeche. Through this event, my government seeks to broaden and diversify the presence of Campeche on an international level through visual arts expressions and an active and reciprocal exchange with other nations. Exhibition at the Kunsthalle Kühlungsborn from 15th of March - 12th of April 2009. Vier Künstler aus China und zwei aus Dänemark sind Gaste der regionalen Initiative Internationaler Tourismus. Kühlungsborn. Dass in der Kühlungsborner Kunsthalle eine Ausstellung professionell vorbereitet wird, ist eigentlich selbstverständlich. Aber das Geschehen gestern Nashmittag fiel doch ein wenig aus dem Rahmen, signalisiere: Kunst ist international, kann Menschen zusammenführen und verbinden, die sich vorher noch nie gesehen haben. 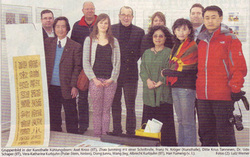 Denn Han Ymeng, Dong Junru, Shao Junming und Wang Jing aus Harbin im Nordosten Chinas und Ditte Knus Tønnesen aus Kopenhagen brauchten keine fünf Minuten, um sich in der schönen Halle heimisch zu fühlen und planten dann mit Franz N. Kröger, dem Leiter dem Hauses, wer wo und wie viele seiner Malereien, Skulpturen und Installationen hängen bzw. aufstellen kann. Das wirkte so, als ob Kröger and die Künstler sich schon lange kenne und hatte auch mit der Gastfreundschaft zu tun, die die fünf Künstler in den vergangenen Wochen bereits in Künhlundsborn und Bad Doberan erleben konnten. Eine zweite Dänin wird noch dazukommen. 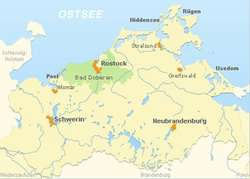 Situated in Mecklenburg-Vorprommern, Bad Doberan at The Friedrich-Franz-Palais. The keywords are to increase awareness; understanding & tolerance of cultural differences & with the exchange program investigate how to foster a mutual trust through intercultural dialogue. 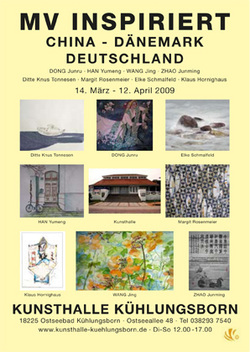 the Kunsthalle Kühlungsborn from 14.-29. of March 2009. 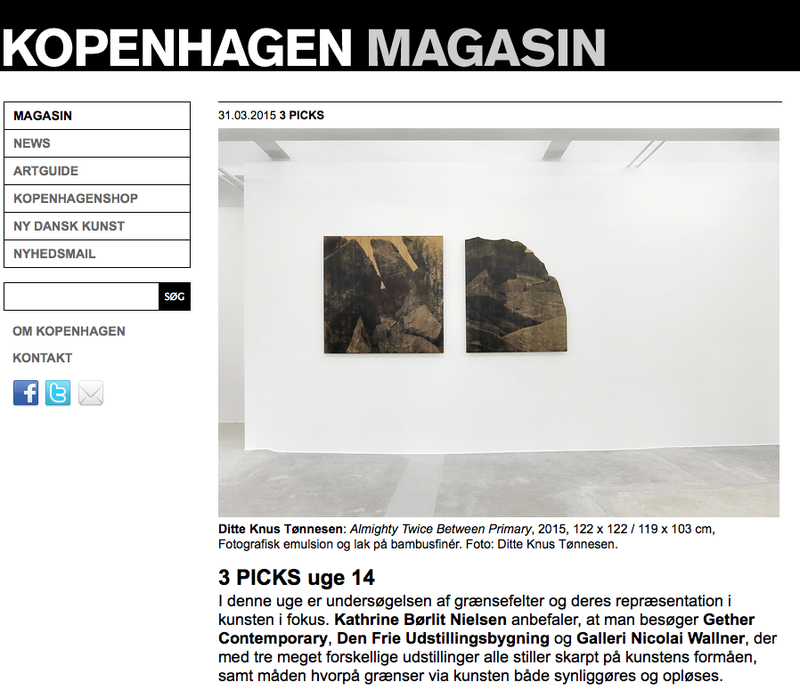 The online danish art magazine, kopenhagen.dk, features at picture reportage from our group show at the Studio Warehouse, Glasgow. 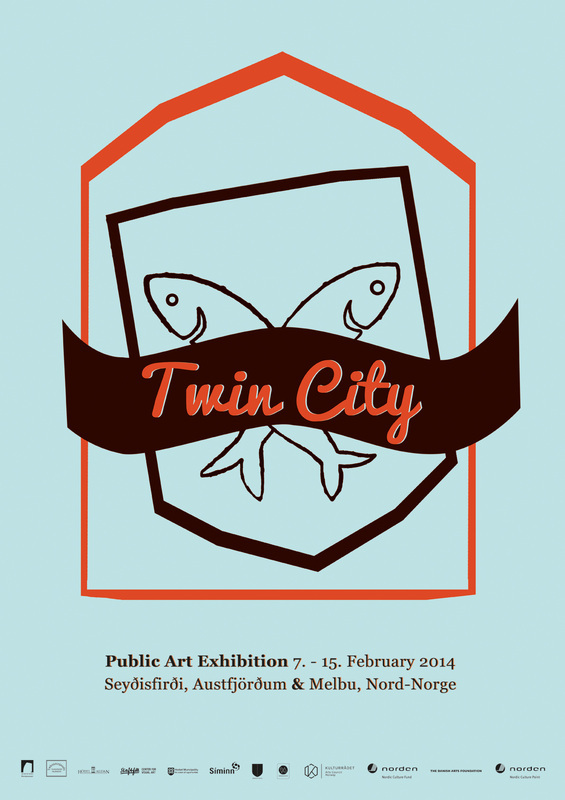 Catalyst Arts presents its annual Student Show. featuring the work of this year's best and brightest students and graduates,. 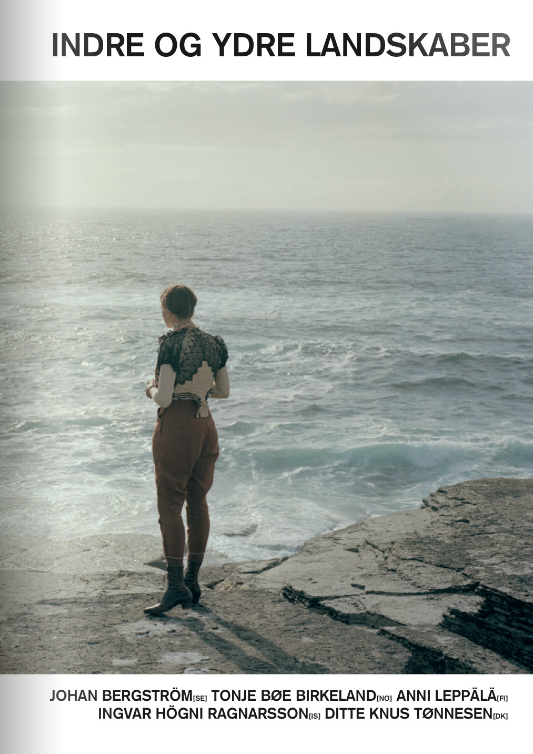 Showcasing a selection of artists from across the UK and Ireland producing the best work in photography, sculpture, drawing and multi-disciplinary practise. Catalyst Arts looks beyond traditional forms, questions received logic and develops innovative ways of enhancing the vocabulary of the artistic medium. DUNK! 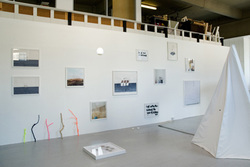 is an artist run exhibition space located in Copenhagen, Denmark. 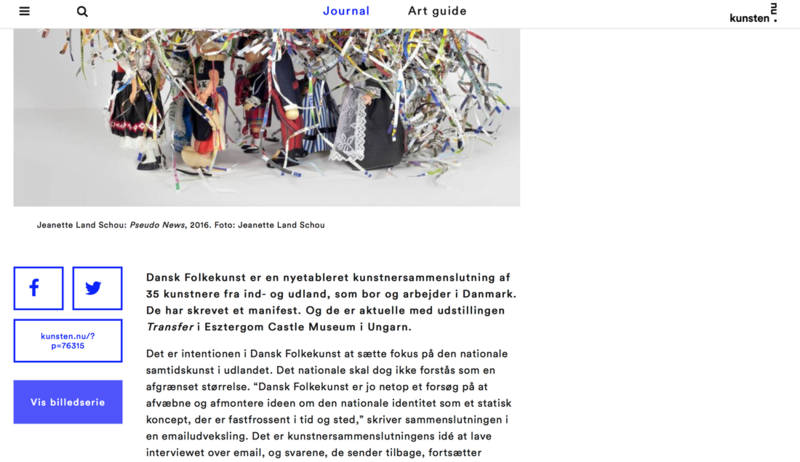 Founded in September 2005, it is dedicated to showing work by both emerging and more established Danish and international artists, across all medias and genres. Since 2006 they have participated in Art Fairs across Denmark and Europe. 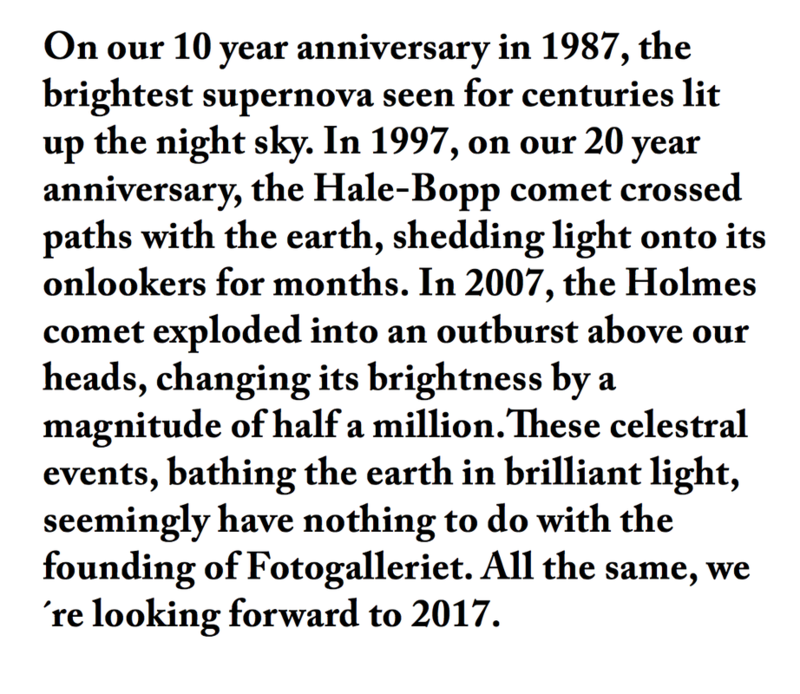 In 2007 they began representing a selection of contemporary artists through their website, in the style of a commercial gallery. 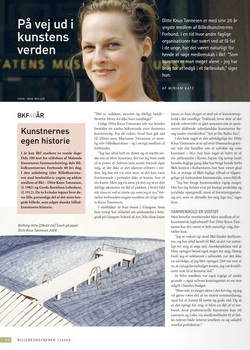 In January 2008 they were included in Flash Art International’s list of the Top 100 Galleries worldwide. 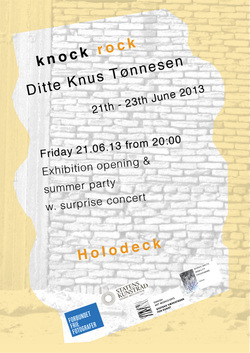 Through the Looking Glass represents DUNK!’s first major international group show outside of Copenhagen. 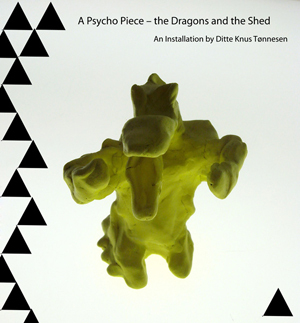 The show at SWG3 (Studio Warehouse Glasgow) will feature new work from DUNK!’s represented artists, including three Danish guests artists who have all studied at The Glasgow School of Art. 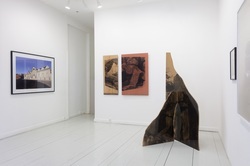 Through the Looking Glass represents a magnified cross section of Copenhagen’s progressive art scene, providing a snap shot of the city’s contemporary critical climate. The work will investigate a diverse range of media from painting, drawing and sculpture, through to installation video and photography. 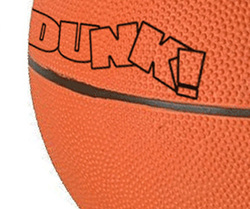 DUNK! asked each of the participating artists to focus on phenomena particular to Glasgow, referencing in one way or another aspects of the city’s recent cultural history. This open-ended thematic framework has been established as a point of departure, acting as a catalyst for the production of new work. Through the Looking Glass is the second exhibition in an exchange between DUNK! and SWG3. Coordinated in Glasgow by resident artist Dan Miller, the project started with Miller’s solo show at DUNK!, during September 2008. ARTISIT? 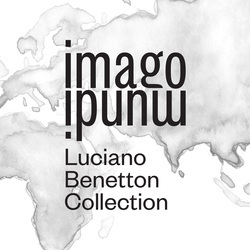 developed as a means to bring together young artists from around the world, emerging from college, with the aim of creating a platform for them to begin their professional careers and in turn, showcase some of the finest art currently in the making. This year’s event will be presented in Galway and with an offshoot in Glasgow, Scotland. For two consecutive weeks, both cities will entertain a myriad of disruptive events courtesy of some of the best up and coming talent on the global art scene. 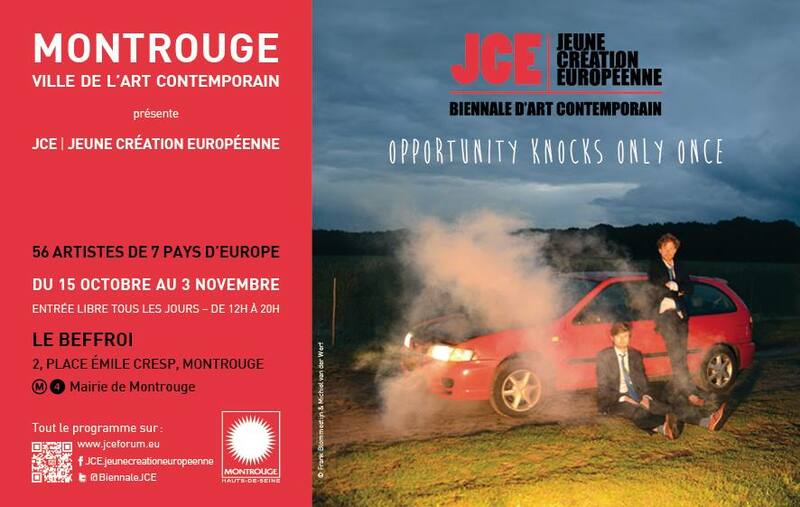 The event will feature a selection of artwork from national and international art schools and it offers a unique opportunity to see the most current developments in the world of contemporary art. There will be innovative activity spread across a range of eclectic events and exhibitions featuring site-specific artwork, installations, discussions, video, photography, drawing, print, painting and music performances involving alternative locations around Galway and Glasgow. 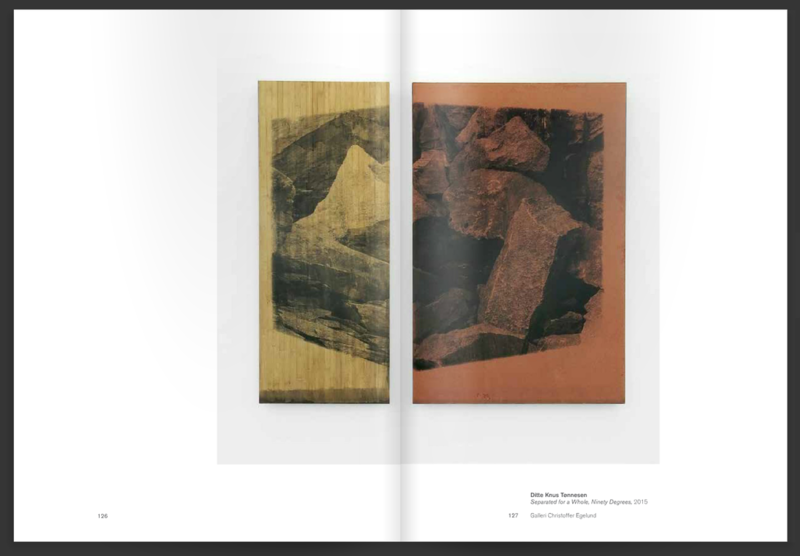 'Degree Show 2008 continues our proud tradition of producing exhibitions of the highest possible standard and across the widest spectrum of art. In the School of Fine Art we challenge our students to question what they see themselves, and in the world around them. We encourage our students to explore new ideas, and to find new way of expressing them; to say important things about the world; and through visual language, help others interpret what they see. 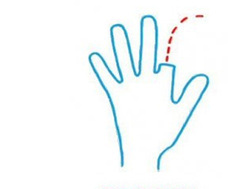 This approach can often make the finished work challenging for the observer. 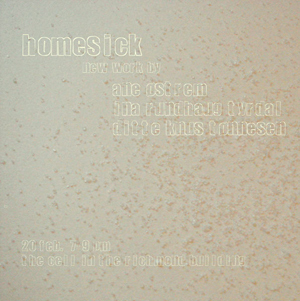 An Exhibition by Ane Østrem (N), Ditte Knus (DK) and Ina Tyrdal (N) at the Cell, Glasgow.